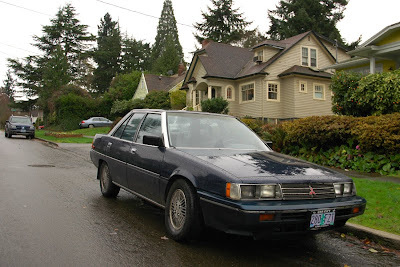 i think its beautifull car&for some reason the oversease version was way more popular&reliable,i would apprecaite if you guys tell me why mitsubishis outside of usa are way more reliable than the us mosels.i used to have one in australia for 12 years with almost no issues,fantastic ride. Great find. Can't remember ever really seeing these, but I'm not sure I'd notice one... 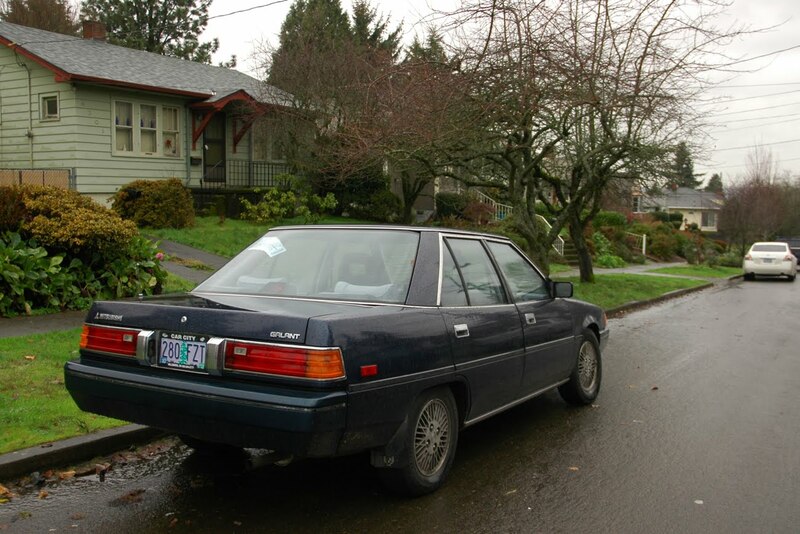 Still, that rear wheel arch has an interesting shape, and the front end's pretty cool. 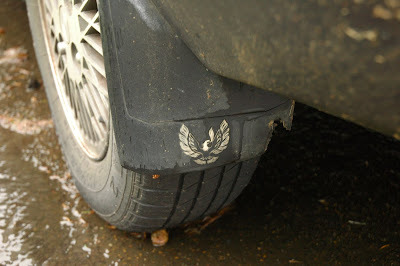 Love the firebird on the mudflap. What's up with that? so cool that this car is getting such enthusiastic, appreciative comments. and checkouthiscar is great, sam. nice blogging. 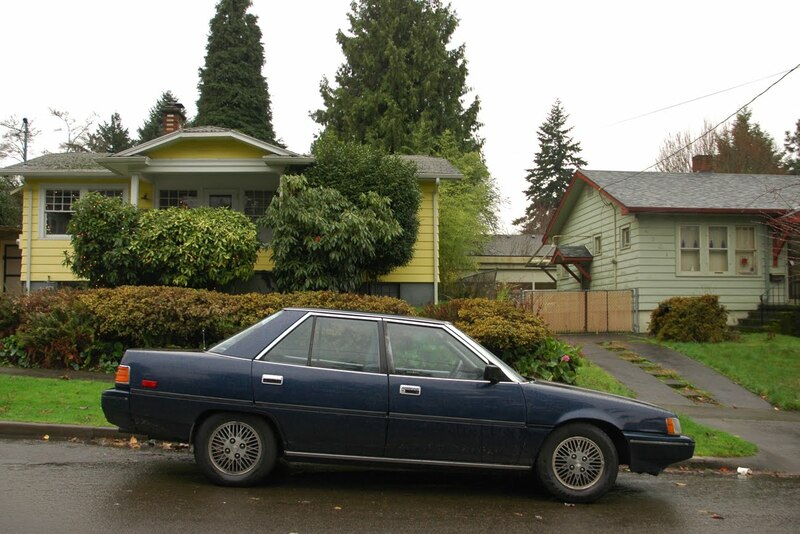 This is the sort of car that got me hooked on this blog. 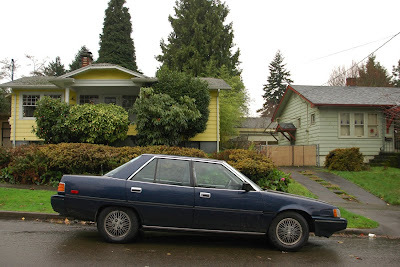 Something that was, in its time, fairly mundane and average, but 25 years later still sits on the road and sees regular use, and has no idea that it is likely one of the last nice examples of a model completely forgotten in time. I was born in '91 so its nice to see mid-late 80s cars up here from time to time; cars I saw when I was growing up that I never see on the road now. Keep up the good work guys. Thank you Tony. I can say OPC was a huge influence, particularly your eye for cars I didn't even know existed. Rare as hell, in great condition....with broken steering linkage. Damn shame.